The Golden Dawn Arkestra returns from eons of spacetime travel to planet Earth, bringing you their debut LP Stargazer. Since the critically acclaimed vinyl EP, Golden Dawn Arkestra has travelled the solar waves, engaging more intergalactic deities to join their sonic experimentations. 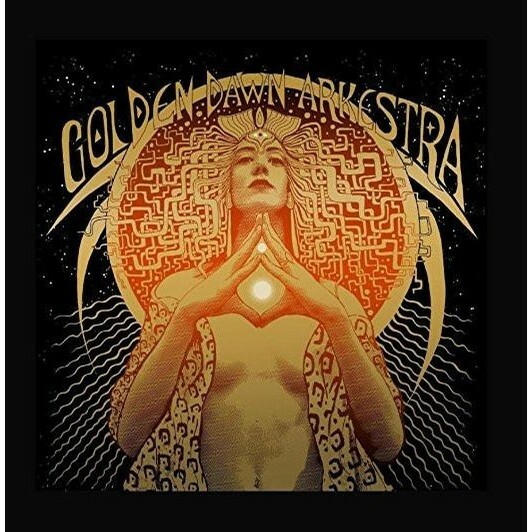 Stargazer brings you a grander more expansive sound, representing the joy and rapture the Golden Dawn Arkestra brings to audiences, as they continue to spread a message of ecstatic consciousness. Recorded & produced by Erik Wofford (Black Angels, Okkervil River, Octopus Project), Erik brings his expertise in psychedelia, analogue sound and reverberation to the already eclectic vibrations. The ARKESTRA AND MODERN IMPERIAL RECORDINGS proudly present Stargazer; a sonic journal of cosmic exploration, in the hopes that you too may experience the joy of drifting upon the ever-loving rays of RA.